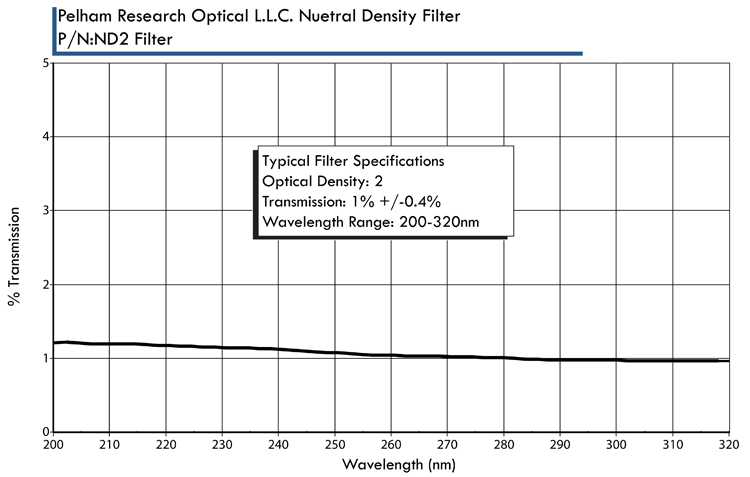 Pelham Research Optical (PRO) standard line of UV metallic neutral density (UVND) filters are available in optical densities from 0.3 to 4.0. PRO UV neutral density filters uniformly attenuate the intensity of transmitted light from 200m to 320nm and work on the principle of the combination of reflectance, transmission and absorption to achieve the desired optical density. Coatings can be applied to Customer Supplied Material as well as supplied build-to print complete from your supplied drawings. 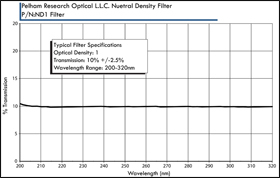 Metallic neutral density (ND) filters for low power applications: Microscopy and Optical calibration. All of PRO neutral density filters are covered and edge sealed. Please see our covered and sealed datasheet for more information. 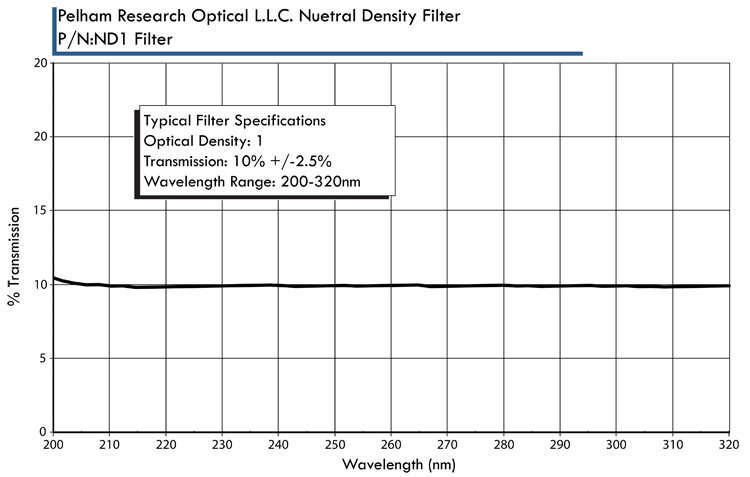 All Pelham Research Optical filters are supplied with individual UV % transmission calibration curve detailing their UV spectral performance.